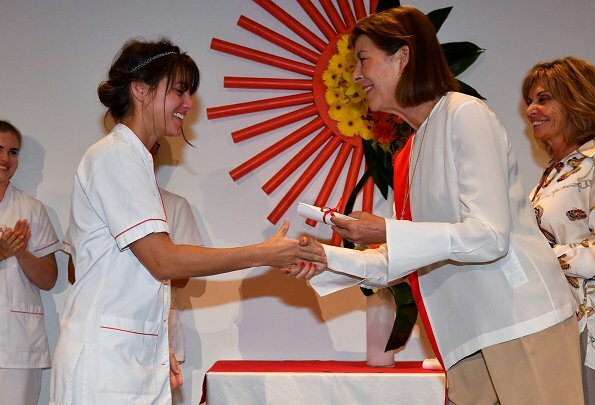 Nursing Training Institute (IFSI) 2018 graduation ceremony took place in the presence of Princess Caroline of Hanover. 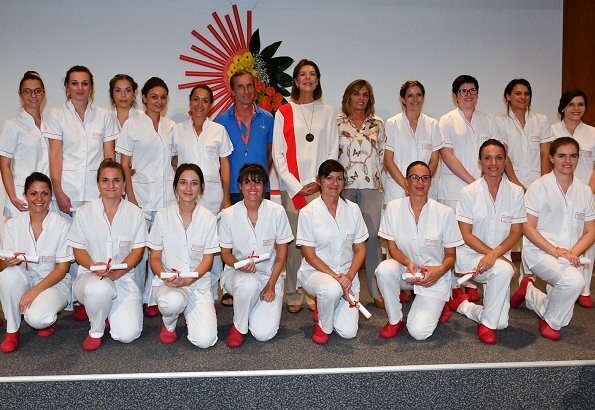 At the graduation ceremony, Princess Caroline presented the diplomas of nurses who completed their education and graduated from Nursing Training Institute. The course is run for 30 students per year and involves specialised educational training over a three-year period, combining lessons and work placements supervised by professionals in the field. Caroline looks very good. She is such a charming lady! All the best of luck for this young team .Princess Caroline looks classy and chic as always. Nursing outfits in school have come a long way since my day! Pss Caroline blends right in with the white shirt.